Okay. Everything here is about this topic. But, since we are talking about other processes we engage in to create our weavings, we need to let you know something about how we actually weave. And I will have to assume that you, my reader, doesn't already know all about weaving. Fortunately, the weaving that we do isn't really all that difficult to explain. In fact, what we do is called a plain weave. It sounds simple because it is. It uses only two harnesses to produce, with the weft yarn simply passing over one warp thread and under the next warp thread. 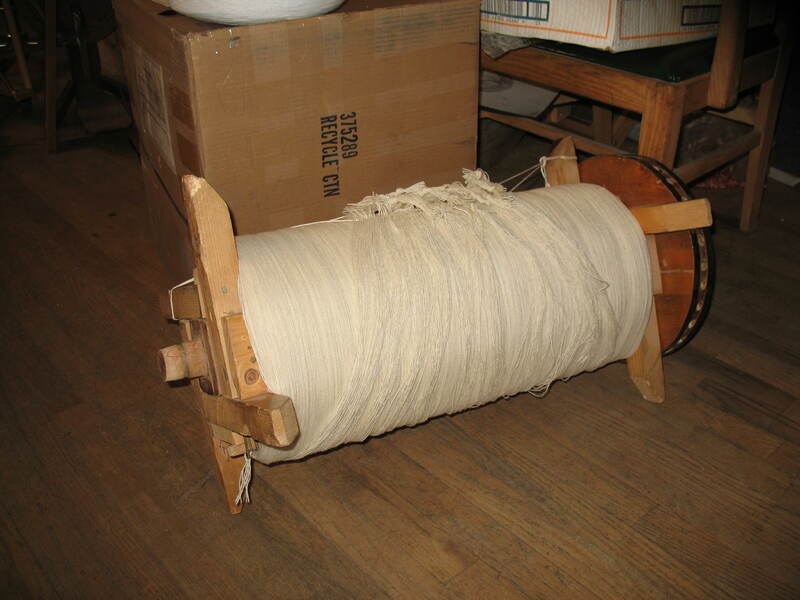 What we do is also commonly described as "weft-faced". 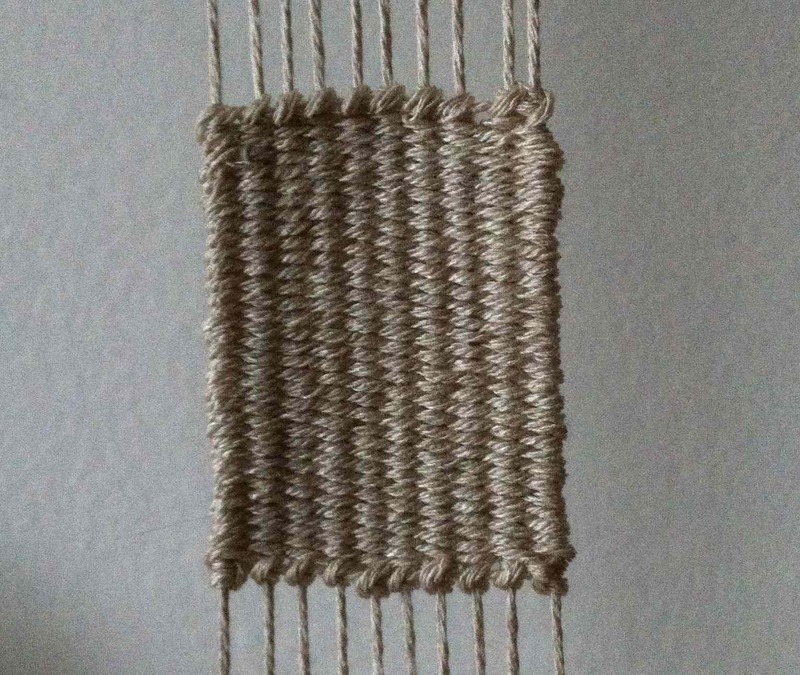 This simply means that the visible face of the weaving is entirely composed of weft yarn. The warp is holding the textile together, giving it its structure, but is not visible on the surface. Another characteristic of our weavings is that there is no front or back. Both sides look the same. 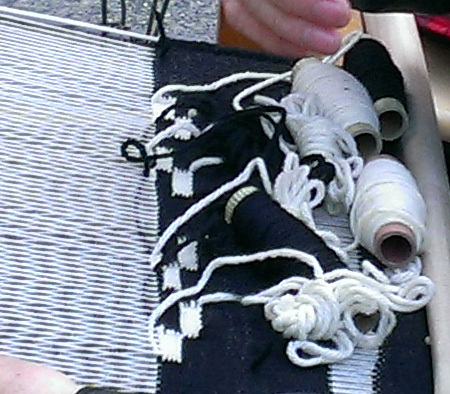 Our weavings combine both shuttle weaving and tapestry weaving. 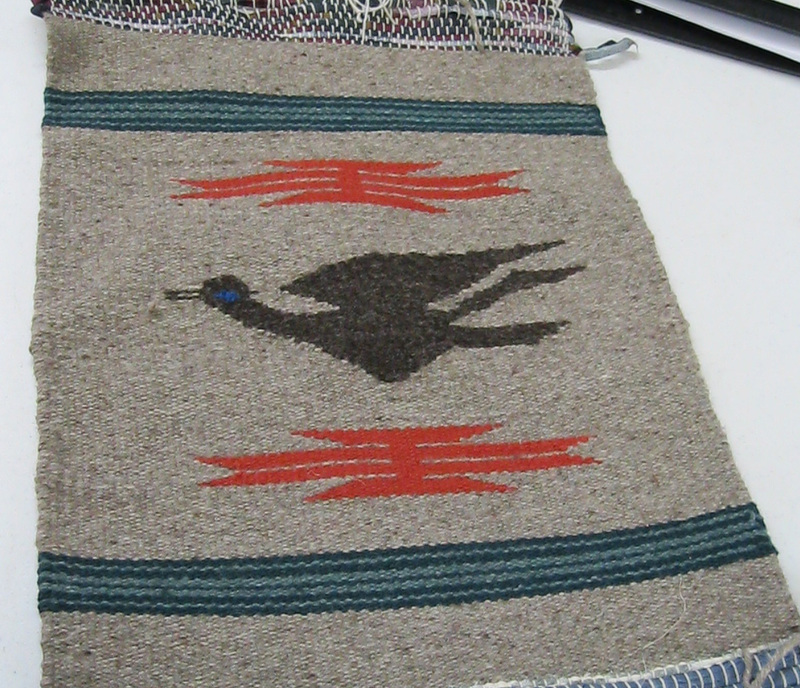 So the last statement, that the front and the back of our weavings look the same, puts some important limitations on the tapestry techniques we employ. 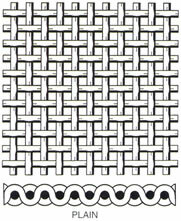 Many of the world's tapestry tradition's techniques leave a clear back side to the textile where there are loops or lumps or long floats or tails. Since we come from a blanket tradition, we avoid a messy side, so there are limited ways that our colors meet, or "join", during the weaving process. Rio Grande tapestry joins[/caption] Tapestry is defined as using "discontinous weft". Which is to say that, instead of a weft yarn traversing from selvage to selvage, there can be any number of yarns covering segments of that distance. 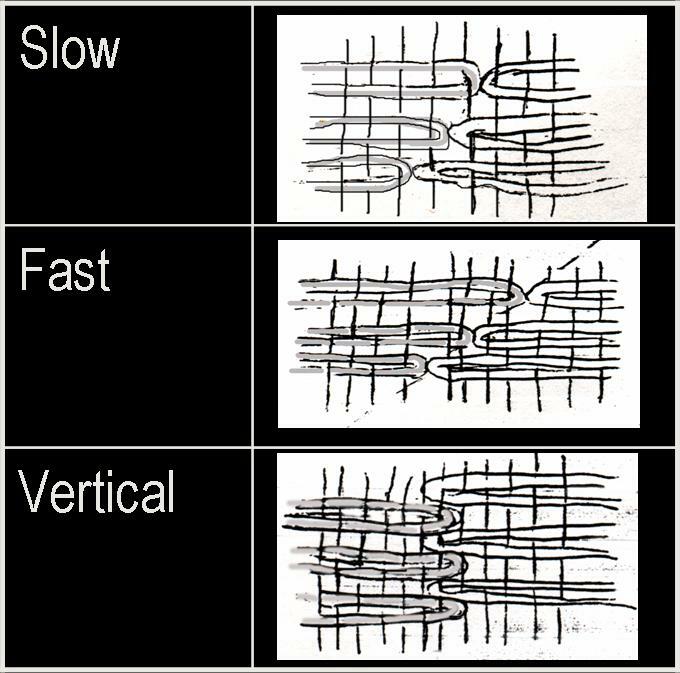 In our tradition, the yarns are all moving in the same direction, right to left or left to right. We don't traditionally use a "meet and separate" technique. We also don't build up one area of a design before another area of a design, like many other tapestry traditions do. We use the beater instead of a comb to pack the weft into place, and the logic of our geometric designs is conducive to moving all elements forward in a steady, linear way. An unusual aspect of our weaving tradition is that we often use both shuttle weaving and tapestry weaving in the same textile. We share this unusual approach of combining of weaving techniques with a lot of Mexican weavers. But actually, combining the two techniques is challenging as it is very difficult to keep a straight edge. Most weavers find that they weave a wider piece when they are doing tapestry, and a narrower piece when they do shuttle work. The fact that it is a plain weave and weft-faced means that we can put long warps on our looms but each and every piece that comes off of that loom can look entirely different. It's a big advantage, at least from our point of view. Lots of warp on a warp beam, ready to go to a loom.